If for whatever reason you were looking specifically for a crime comedy-drama, NBC has you covered with its new series “Good Girls”. The show follows three moms struggling through various life challenges: a sick daughter, an affair and a custody lawsuit. Things get so desperate for the women that they turn a joke about robbing a grocery store into a reality in order to provide for their families financially. Executive producer Jenna Bans, also connected to such shows as “Grey’s Anatomy” and “Scandal”, handpicked an all-star cast of leading ladies to convey the frustrated mothers. The list includes Christina Hendricks of “Mad Men” fame as Beth Boland, Mae Whitman from “Parenthood” and “Arrested Development” as her sister Annie Marks and Retta from “Parks and Recreation”. Other familiar names that make an appearance include Matthew Lillard (yes, that’s right, Shaggy from “Scooby Doo” and he didn’t age well) as Beth’s husband Dean and Zach Gilford from “Friday Night Lights” as Annie’s ex. After the pilot, it’s still not clear how producers plan on making what would’ve been a great movie plot into an entire episodic series. The first episode alone progressed far too quickly, introducing a lot of characters and relationships without much explanation. Without any spoilers, the women go from joking about robbing a store to actually robbing the store in a week and to getting involved with a gang in even less time. The concept itself is new and interesting, but doesn’t seem like it will hold for the entirety of a series. The storylines of the individual characters are heartwarming and the primarily female dynamic is refreshing (it certainly passes the Bechdel test). But the comedy is weak. Aside from a few snickers, it didn’t get any major laughs from me. A lot of it was a little awkward and uncomfortable, to put it nicely. 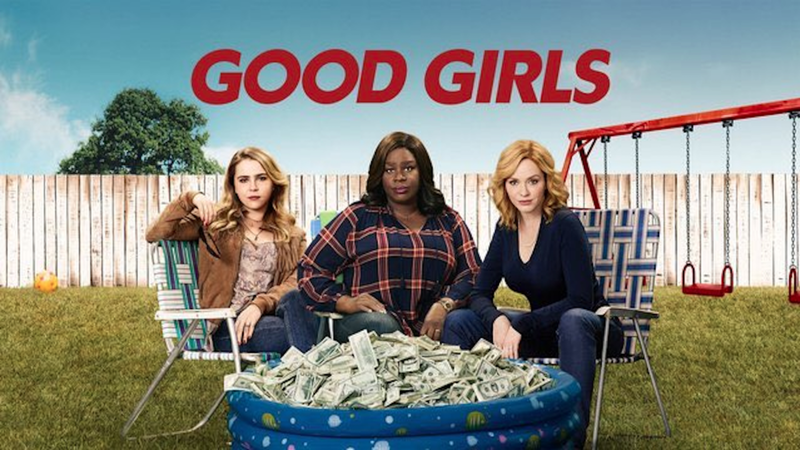 “Good Girls” was, however lighthearted, very current in its representation of some difficult topics. It depicted a child exploring their identity, sexual abuse and very honest relationships. It was graphic, at times, but the younger cast members, especially Mae Whitman, handled themselves well. While the first episode was nothing special and leaves a bit to be desired, the rest of the series shows promise and will be interesting to pay attention to over the next few weeks. “Good Girls” airs on NBC every Monday at 10 p.m.
Julia Mancini is the associate life editor for The Daily Campus. She can be reached via email at Julia.mancini@uconn.edu.